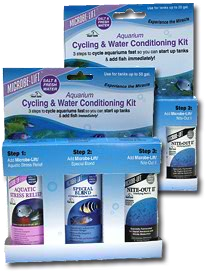 3 steps to cycle aquariums fast so you can start up tank & add fish immediately! 1 oz. Kit – Use for tanks up to 20 gal. 4 oz. Kit – User for tanks up to 55 gal.